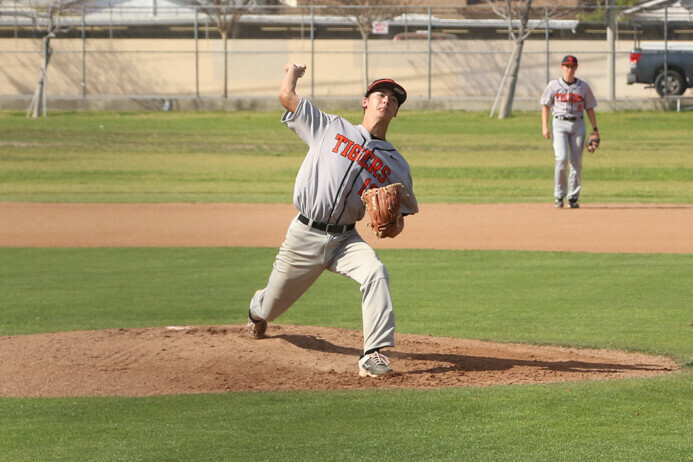 Varsity baseball notched up its first win of the season in a decisive 3-0 victory over the Monrovia Wildcats, away, last Tuesday, March 28. This gives the Tigers a 1-2 record in league, as well as their first win over Monrovia in five years. For much of the game, both teams bested each other’s batters until late runs by South Pas tipped the odds in favor of the Tigers. Opening in the first inning, both teams found little success at bat, with strikeouts and groundouts wrapping up the inning quick. Heading into the second, Monrovia gained the upper hand and loaded the bases off of several errors and a missed double play opportunity. With bases loaded and two outs, senior pitcher Kevin Park kept his cool and struck out the following batter to squander Monrovia’s chances of scoring. Both sides continued to slug it out at the plate with the Tigers getting their first hit off junior Zach Howorth’s single line drive, only to have the next batter strike out. This would persist for both teams throughout the third and fourth inning with the score remaining at 0-0. Heading into the fifth inning, South Pas found success at bat after seniors Jacob Luevano and Noah Miyame both singled. After stealing third, Luevano came home a few pitches later off of junior Isaac Luevano‘s sac fly for the first run of the game. After both Howorth and Park managed to get on base, Howorth would score the second run of the game with the help of sophomore Dylan Benton’s RBI single. Although South Pas failed to extend the lead, their performance in the fifth, allowed them to take the initiative in the game moving forward. Now up 2-0 in the game, South Pas kept up its hot streak of hits into the sixth inning with J. Luevano singling a hit to put junior Edwin Espinal on third base and a chance to score for the Tigers. This would come in the form of another I. Luevano RBI to set the score at 3-0. South Pas kept up the momentum off of Park’s clutch pitching in the sixth and seventh inning to leave the Wildcats scoreless in the game. The Tigers will face off against San Marino High School at home on Friday, March 31. Tiger Newspaper showed Ryan all the new and different aspects of high school life. Tiger Newspaper allows him to meet and greet new people from different walks of life and experience things not possible in other school classes. 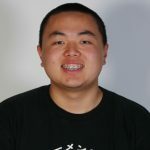 Ryan enjoys writing sports articles and staying late on deadline to finish print editions.